Mega Fortris Australia is please to announce the introduction of Triple Tight transport security seals to it range of transport seal products. 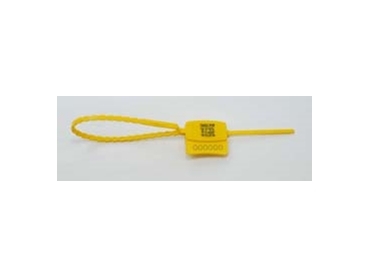 Triple Tight transport security seal is a popular security due to its high levels of visible security and durability. Triple Tight security seals feature a staggered, triple locking security mechanism, with a completely clear cover. Users can see that the seal is fully engaged and whether the seal has been tampered with, making these transport security seals a smart choice for transport operators. Should someone try to tamper with the clear cover cap, Triple Tight tamper evident security seals will react with any glue or solvents and this will fog the clear cover cap; changing it from clear to opaque. Due to the design of the Triple Tight transport security seal’s tail, the Triple Tight security seal can be pulled up very tight on taut-liner side buckles, truck rear doors, rail cars and other transport applications reassuring the user that the seal is Triple Tight.